For HALLOWEEN WEEK, we’ve been bringing you lists of Witches, Vampires and Werewolves — oh my! — by some of the best in the biz. The co-writer of Dark Horse‘s Baltimore takes the other tack. UPDATED 10/28/17: Halloween’s a-comin’! Here’s a list of 13 GREAT MONSTER HUNTERS, by Christopher Golden. This first ran in 2014 but so what? It’s still fitting! Dig it! Novelist, chronicler of the scary, comics writer. Christopher Golden has an immense resume. So while we’ve thrown a bunch of monsters at you, it only made sense to get an expert on monster hunters. Oh, and wanna read some Golden horror? 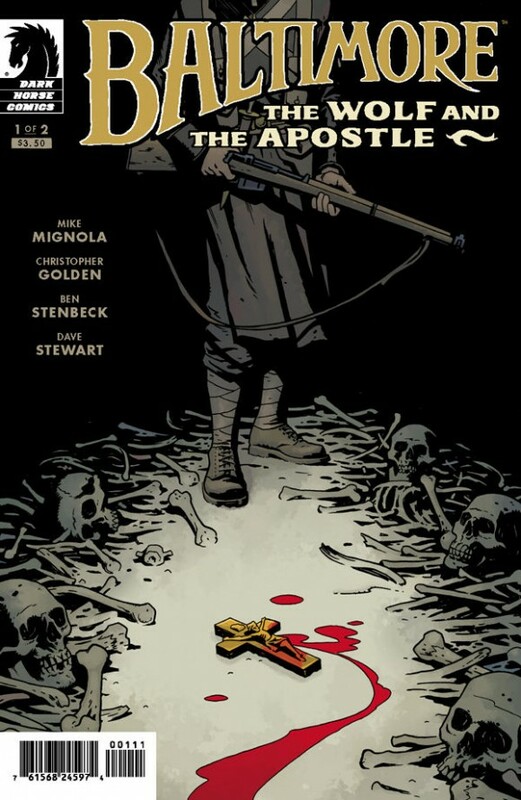 Check out the latest Baltimore tale written with Mike Mignola, art by Ben Stenbeck and colors by Dave Stewart — out now. Hellboy. 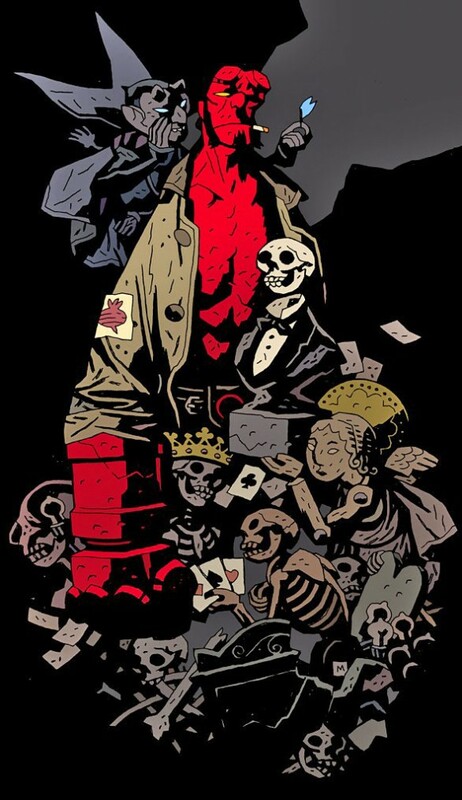 When Mike Mignola first introduced Hellboy, the title “world’s greatest paranormal investigator” was supposed to be tongue-in-cheek. Sheer durability was the only thing that kept Hellboy alive as his BPRD missions took him into one perilous situation after another. Over time, Hellboy became a more thoughtful creation, always inquisitive and willing to be the man standing between good and evil. Most importantly for this list, nobody looks cooler beating the crap out of a monster than Hellboy. As much fun as the two Guillermo del Toro movies are, nothing beats the comics. Abraham Van Helsing. There are probably hundreds of versions of Van Helsing out there, some wonderful and some absurd. 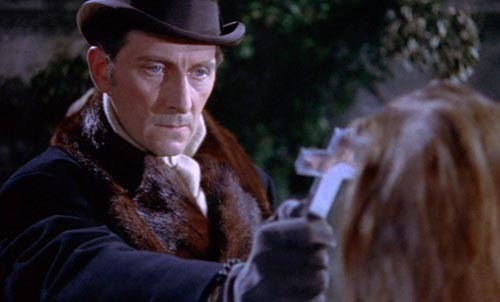 Of course he first appeared in Bram Stoker’s most famous novel, but for me, the greatest Van Helsing will always be the one portrayed by the great Peter Cushing in a variety of films from legendary British production company Hammer Films. Cushing, like his frequent onscreen partner Christopher Lee, elevated the quality of the films. Van Helsing has never been so human. Buffy the Vampire Slayer. I could write many thousands of words (and have) about Buffy Summers and her career as Slayer. Joss Whedon’s television classic was remarkable for a host of reasons, but chief among them is the establishment of a teenage heroine who makes her own choices, who sees trouble and wades right in, who spots a monster and attacks. Buffy didn’t need permission and she didn’t need to be rescued. Sure, she died twice, but along the way she dusted more vampires, demons, and other monsters than pretty much anyone else on this list. Along the way, she inspired the entire urban fantasy sub-genre and rebooted the pop culture image of the female action hero. Blade. 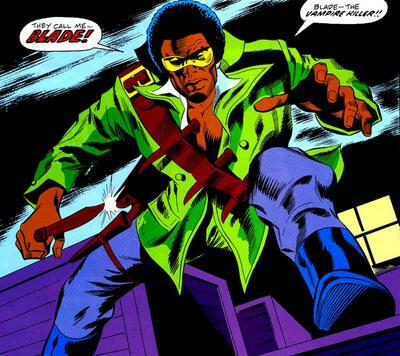 I liked the movies well enough, but for me, Blade has never been better than he was back when Marv Wolfman and Gene Colan gave him life in the pages of Marvel Comics’ 1970s masterpiece, Tomb of Dracula. (Still my favorite comic book series of all time, and a huge influence on me.) Blade has been reinvented and rebooted over and over. I had the honor of being responsible for one of them, a one-shot called Blade: Crescent City Blues, which was illustrated by my favorite artist, Blade’s co-creator, the late Gene Colan. The story is hugely over-written, but it’s beautiful to look at, and remains one of the highlights of my career. Hannibal King. 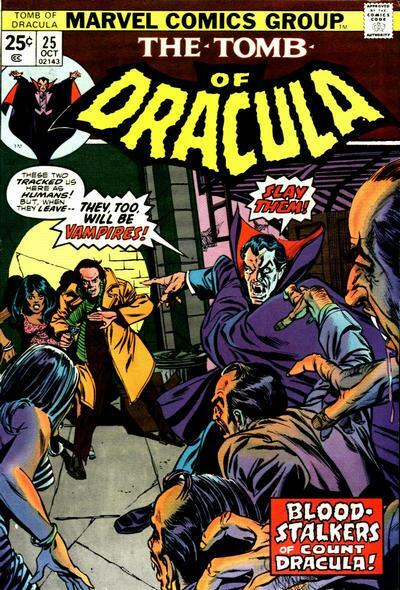 Largely forgotten, Hannibal King also first appeared in the pages of Tomb of Dracula, and may have been the first vampire detective in pop culture. Peter Octavian, the main character of my Shadow Saga series, was directly inspired by Hannibal King … and it seems fairly obvious that Joss Whedon’s Angel has a bit of Hannibal in his lineage, too. Hannibal King’s refusal to use the abilities his vampire nature has given him, and his struggle against the thirst for blood that is driving him mad, make for compelling reading. Ellen Ripley. OK, technically, the prototype female action hero is much more interesting in getting the hell away from the Xenomorphs in the Alien film series than in hunting them. But every time the running-away doesn’t work out for her, Ripley turns into the greatest, most badass bug-hunter of all time. 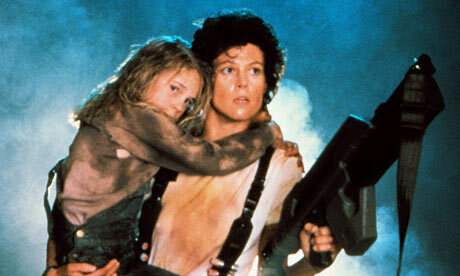 When she rescues Newt in Aliens, there’s a ferocity in her that puts every other monster hunter to shame. Elvis and JFK. Seriously. If you haven’t read the novella Bubba Ho-Tep, by the one and only Joe R. Lansdale, track it down right now and check it out. Go on. I’ll wait. When you’re done with that, do yourself the favor of watching the 2002 film version, directed by horror legend Don Coscarelli and starring Bruce Campbell as the King and Ossie Davis as John F. Kennedy. 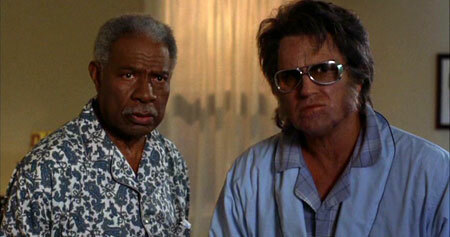 Elvis and JFK are in an old age home whose residents are being preyed upon by a nightmare straight out of Egypt, and you damn well better believe they are not going to stand for it. 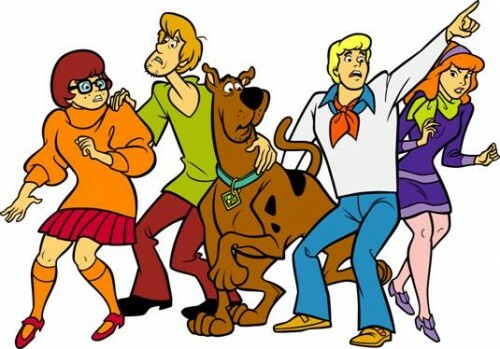 The Original Scooby Gang. If you need me to explain why Shaggy, Scooby, Fred, Daphne and Velma are on this list, I don’t even want to know you. Step away from the computer and begin a lifelong process of making up for your inadequacy. When you finally remedy your error, you’ll wonder why Velma bothered to keep the rest of them around. Everyone needs friends, I guess. Ben Mears and Mark Petrie. Stephen King’s second novel, 1975’s ‘Salem’s Lot, is one of three vampire classics of the modern age that built the foundation for nearly everything that came after. The other two are Richard Matheson’s I Am Legend and Anne Rice’s Interview with the Vampire. Matheson and Rice paved the way for multiple sub-genres, but King stayed truest to classic vampire lore, bringing it into the contemporary world. In doing so, he wrote the most terrifying vampire novel ever, and created an unforgettable pair of courageous, human, heartbroken vampire hunters. Captain Kronos, Vampire Hunter. Yes, the title alone drips with melodrama, and honestly the film does the same. But the 1974 Hammer Films production about professional vampire hunters is better and more interesting than you think. Watch it as a double-feature with the famed anime film Vampire Hunter D.
Eren Yeager. How do I ever talk about my fascination with Eren Yeager without including spoilers? I can’t. In the manga series Attack on Titan, and the stunning, brutal anime series adaptation, most of the human race has been eaten (yes, eaten) by giant humanoid creatures called Titans who simply appeared one day. Gathered behind high walls, the remnants of humanity work to survive, protected by military fighters like young Eren and his adopted sister, Mikasa Ackerman. 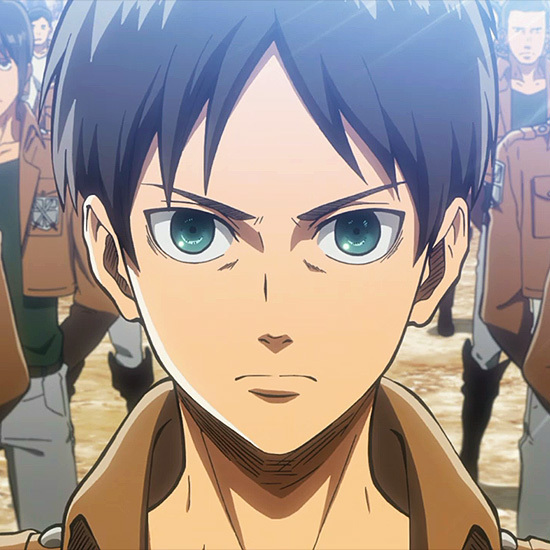 While Mikasa has far greater skill, Eren’s abilities as a monster hunter are … shocking. 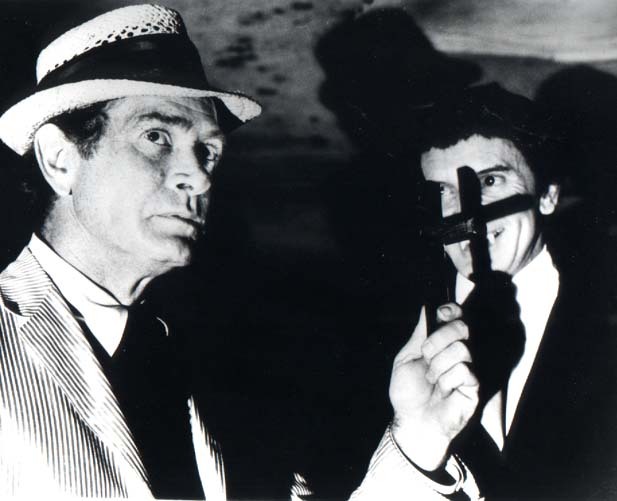 Kolchak, the Night Stalker. One of the most formative elements of my youth. I couldn’t have been more than 7 or 8 when my father agreed to wake me up at 11 o’clock every night to watch reruns of Kolchak, The Night Stalker. ABC optioned an unpublished novel called The Kolchak Papers, by Jeff Rice, and hired the legendary Richard Matheson to adapt the novel into a TV movie called The Night Stalker, about a curmudgeonly newspaper reporter who will follow any lead, even if no one else will believe the hideous truths he uncovers. Matheson wrote a second one, The Night Strangler, and then ABC greenlit a series with star Darren McGavin. It ran for only a single season, but Kolchak’s trademark hat and suit — and the whistling theme song — are indelibly etched in my brain. His Fifth Estate crusade for truth and his pithy narration are unforgettable. X-Files creator Chris Carter acknowledged that Kolchak was a major inspiration behind his own Fox Mulder. Solomon Kane. 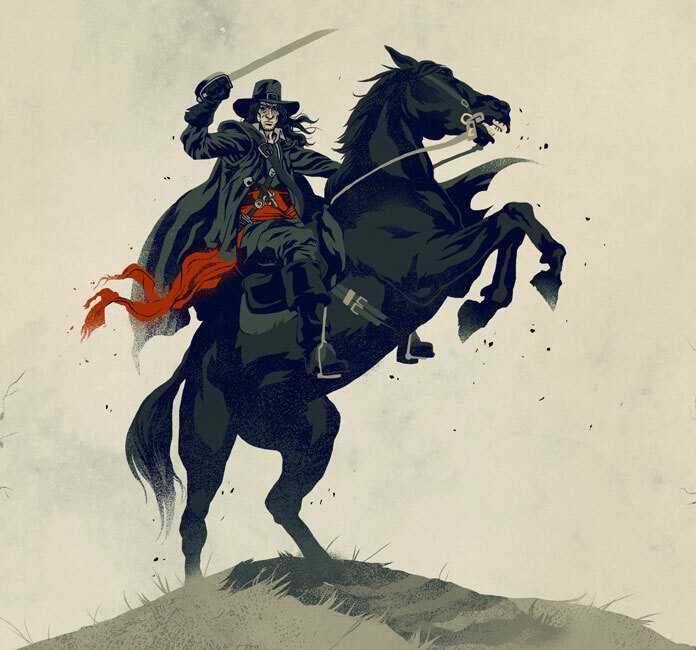 As much as I enjoyed the film and the character’s various comic-book appearances, no adaptation has ever adequately translated the grim greatness of Robert E. Howard’s classic Solomon Kane stories. Beginning in Weird Tales magazine in 1928, Burroughs explored the adventures of a gloomy Puritan wandering Europe and Africa, armed with a rapier and a brace of flintlock pistols. 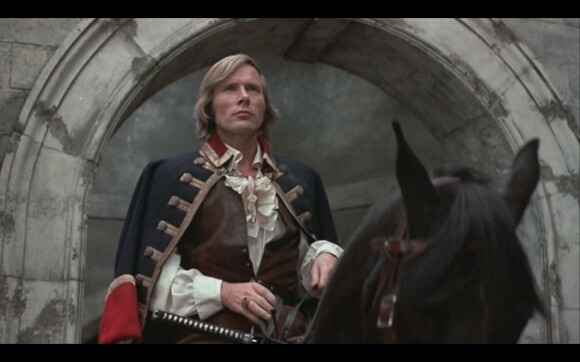 Unsmiling and brutal, Kane certainly inspired other pop culture monster hunters, including Captain Kronos, Vampire Hunter D and — of course — Baltimore. No love for Ulysses Bloodstone? I think they did well just by including the obscure noir hunters and even Captain Kronos. 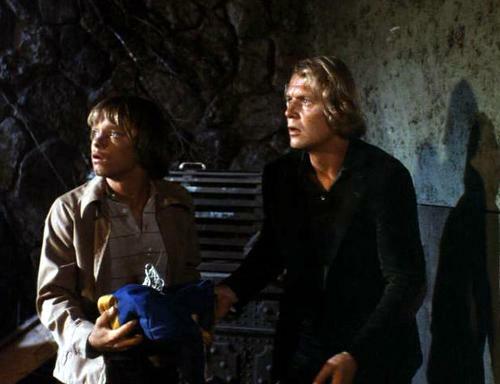 I mean, everyone who’s watched or read about Hammer Films’ cheesy vampire movies always cites Van Helsing by Peter Cushing, but no one ever mentions old Kronos. No Sam and Dean?? Just saying.